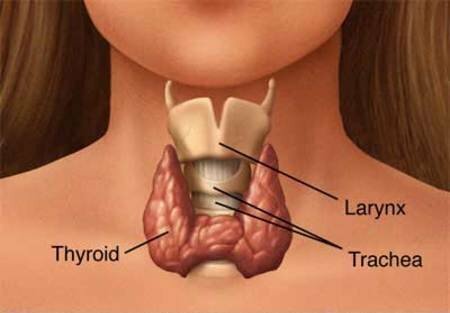 There are two main illnesses connected with the thyroid. Hyperthyroidism produces too much hormones. Hypothyroidism doesn’t make enough of them. Hypothyroidism symptoms consist of fatigue, heavy periods for women and muscle aches. The skin gets very dry and the hair turns fragile. Another early symptom is unexplained additional weight gain. The face will get puffy and the eyebrows start to thin out. Hyperthyroidism symptoms include inability to focus, diarrhea and increased sensitivity to heat. Appetite grows but weight remains the same. Sweating increases. Among women, the menstrual cycle becomes highly uneven. Other major symptoms are cold skin, thinning hair and high blood. Some men also develop breasts. This symptom usually means the illness has reached an advanced stage. Some people also get dizzy spells. 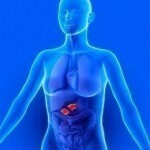 There is frequent vomiting and the heart palpitations increase. The fast heartbeat is sometimes mistaken for a heart attack. However, it has nothing to do with the heart at all. Another indicator of thyroid ailments is sleep difficulty. Even though patients feel tired, sleeping becomes very hard or almost impossible. Stress is also felt as well as mood swings. Both hypothyroidism and hyperthyroidism require physical examination. The doctor will look for any physical signs of the illness. These may include bulging eyes, skin rashes or any of the symptoms noted earlier. The blood pressure will be read to see if it’s gone up. There are several blood tests that can determine if thyroid hormone production is too high or low. In hyperthyroidism, TSH (thyroid stimulating hormone) levels go down. The T3 and T4 will go up. Cholesterol, glucose and triglycerides are also tested. 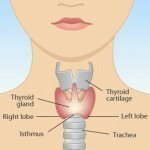 The reason is that an abnormal thyroid may show up here too. If hypothyroidism is suspected, a serum TSH test is performed. Treatment for hyperthyroidism consists of various anti-thyroid drugs. Radioactive iodine is usually prescribed. 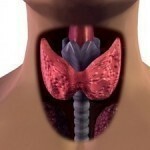 If necessary, surgery will be done to take out the thyroid. In this case, thyroid pills will have to be taken. Beta blockers are given to eliminate symptoms like sweating and anxiety. Other medications are given for hypothyroidism. If thyroid hormones are being taken, other vitamin supplements need to be stopped. Antacids also need to be avoided. Supplements that come with fiber, calcium and iron must not be taken either. Consult your doctor on what diet you should go on. Most of these medications need to be taken without eating first. Currently there is no known way of preventing thyroid ailments. However, research has shown that taking iodized salt seems to keep the thyroid stable. What role other vitamins and minerals can play is still unclear. Medical studies also indicate that heredity is crucial. There is a strong chance that individuals become susceptible when the other family members have suffered from the disease. Because the cause isn’t known and prevention isn’t possible, the best defense is note all major and minor symptoms as early as possible. By taking careful stock of any signs that appear, the thyroid problems will be treated at an earlier stage.